Once you have opted to replace your windows, there is a whole new world of decision making facing you with what to put in. What Considerations Should I Make First? So if you are hoping to sell your home, don't rely on new windows as a sure-fire winner, particularly in the lower end of the market where your choice of window is unlikely to affect saleability. 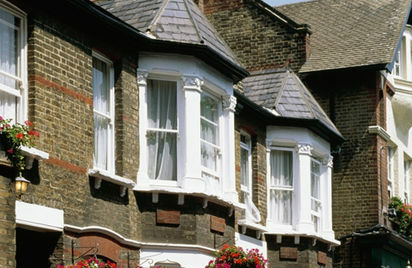 Nevertheless, at the top end of the market, buyers may well be put off by unattractive or out-of-keeping windows. If your home is listed or in a conservation area, your choice will be strictly controlled by the local authorities and you would almost certainly have to replace like for like. All replacement windows in England and Wales are subject to building regulations. This is mainly to ensure that new windows are as energy efficient as possible and if your installer is not part of the FENSA self-regulation scheme, you are responsible for checking that building control approval is applied for. The most traditional material for making windows, wood has the advantage of enduring popularity - so while other materials are more susceptible to the vagaries of taste and fashion, wood has an ageless and universal appeal. Good-quality, well-made wooden windows are also physically durable, and with the right treatment, should last generations. Generally speaking, they are more likely to be what was originally in the house and except for in very niche properties, you can be confident that wooden windows will look sympathetic. By getting your windows made by a joiner, you can be sure of a design that best reflects the original style, too. Environmentally, wood is preferable to uPVC in many ways because it comes from a natural (and hopefully sustainable) source, and even when it's replaced it's recyclable and/or biodegradable. Which is all well and good until you come to the major downside of wood - the price. Wooden windows can cost as much as three times the price of their plastic counterparts, which may be bearable for properties in the top end of the market, but often an unreasonable price to pay for more modest homes. You may find less expensive wood options, but bear in mind that cheaper versions are often of inferior materials and construction, which will require yearly repainting and may last as few as eight years. A local joiner should be able to make you bespoke timber windows, or there are many national companies that can provide wooden versions, even some of the names, such as Everest, that are traditionally associated with uPVC.